Want it by Wednesday 24th April? Order within 4 days, 20 hours, 7 minutes and choose Next Working Day - Kerbside Delivery (Order Must be Placed by 2pm) at checkout. 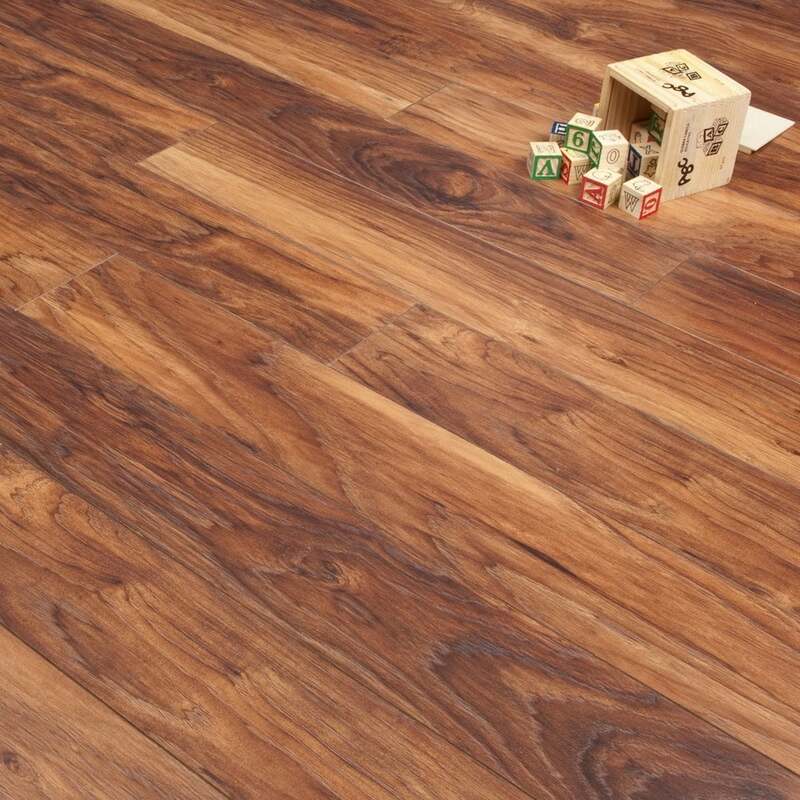 Newtown is one of the finest ranges in laminate flooring. Our Hickory is a beautiful 4 sided V grooved product, adding definition and character to the plank and most of all, to your room! With a rich and dark hickory colour, this floor is perfect for larger rooms with plenty of natural light. With its fantastic click system, laminate flooring has never been so easy to install. Set by set instructions are included in every pack to guide you towards your new floor - making DIY simple! This décor is beautiful in any surroundings, whether it be in traditional or contemporary. Each of the Newtown decors are tested on resistance to stain, impact, and sunlight. To put your mind at ease each product in this range is accompanied with a 20 year residential warranty. Want to see this gorgeous floor for yourself? Then why not order a free sample today?